IS $250,000.00 WORTH OF COVERAGE THE MOST I CAN GET? DOES YOUR MOTORCYCLE INSURANCE REALLY PROTECT YOU? FOR A FREE INSURANCE REVIEW, CALL, FAX OR EMAIL YOUR DECLARATION SHEET Today. You Can Also Submit This Form. Motorcycle riders have absolutely every right to feel safe on New Jersey roadways as car, truck and bus drivers. Bikers must follow the same traffic laws and are subject to the same penalties if they fail to obey the rules of the road. It’s outrageous, then, when statistics reveal that motorcyclists bear the brunt of injury and wrongful death following accidents caused by distracted and careless motorists. If you or someone you love has been injured in a motorcycle crash in New Jersey, whether it was due to negligence on another driver’s part or equipment failure, you need a motorcycle injury lawyer who will fight tirelessly for your rights. Skilled and seasoned personal injury attorney Andrew Prince, Esq. of Team Law, will be by your side and will work hard to win you maximum compensation for your injuries when you have been hurt in a bike accident. The facts and statistics regarding motorcycle accidents in New Jersey, and the resulting injuries and deaths, are upsetting. In the vast majority of accidents between motorcycles and other vehicles (more than two-thirds of crashes), the other driver “violated the motorcycle rider’s right of way and caused the accident,” according to national statistics. Fatality rates have doubled for bikers since 1999, while during that same time period, the number of fatal crashes between cars and trucks (no motorcycles involved) actually fell. While all drivers share the same roadway, and are forced to manage the same weather and other hazardous conditions, bike riders are far more likely to become “invisible” to drivers of cars and trucks. This is especially true at intersections, where about 70 percent of accidents involving bike riders take place. Further, while a pothole or an oil slick may be annoying to the driver of a car, they can be deadly hazards for a motorcycle rider. The size of bikes also create a hazard. When you consider that drivers of compact cars get nervous around huge trucks, it stands to reason that a bike rider is at risk when sharing the roadway with other bigger, heavier vehicles. If you’ve been hurt in an accident, call Andrew Prince today for sound legal representation. 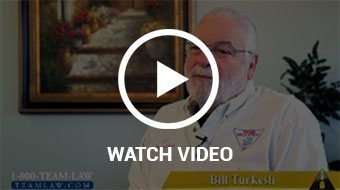 He has been successfully helping New Jersey motorcycle accident victims for more than 25 years. His extensive experience and proven track record can help motorcycle crash victims like you get the best financial recovery. He’ll help guide you, present your claim to a jury if necessary and obtain the money you deserve. His clients recommend him again and again. Do you think you have full insurance coverage? Can becoming a better rider reduce the cost of your insurance? If you are hurt on your bike, who pays your medical bills? Andrew Prince is willing to go over all the preliminary questions with you at no charge at any time. Call or email him with your questions. He promises it will be worth a few minutes of your time. Andrew Prince knows the right things to ask and can help get answers to your most difficult insurance questions. He’ll analyze and explain your insurance policy and negotiate to get the adjusters to properly pay your full claim so you can focus on your recovery and get money for your pain and suffering and disability. Not every case settles. Sometimes, the insurance carrier just won’t budge off a low offer. In New Jersey, plaintiffs are entitled to pain and suffering for their loss and compensation for any permanent injuries or scars. 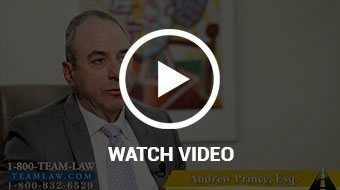 Whether you wince every time you move your arm, need a walker just to get to the dining table or can’t get to sleep because you just can’t roll over on your shoulder, Andrew Prince knows how to present a winning case. Mr. Prince’s focus is on the victim and the family as well as the case. He’ll guide you through every step from right after your accident all the way to a solution. Andrew Prince is sensitive to the fact that some immobile accident victims are interested in a consultation. When you reach out he would be happy to make arrangements convenient for you. His main office is conveniently located in Clark, New Jersey. His other offices are scattered throughout N.J. He can also make arrangements, to meet with you at a place that works for you. Call him for a free consultation about your motorcycle crash or any motorcycle riding or legal issue at 1-800-TEAM LAW. You can also contact him online. Andrew Prince will work hard for you so you can get back to your life.